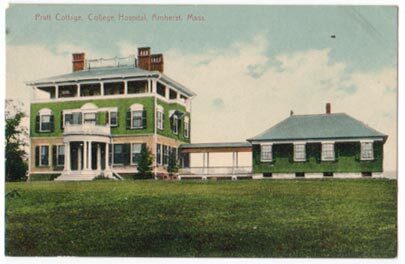 The Pratt Health Cottage served as the College's infirmary from 1897 to 1938, when Milliken was built. It was a gift of three Pratt brothers, George D. '93, Herbert L. 95, and John T. '96. 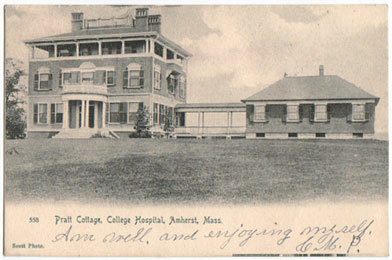 The building was designed by Allen Brothers of Amherst, and a Nurses' Home, seen attached to the cottage in the images, was added in 1899. With the construction of Milliken, the buildings were sold (King, 318-19).